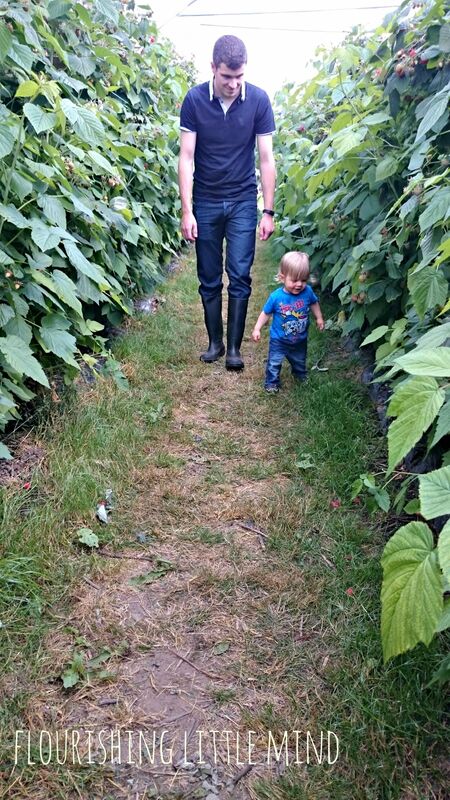 At the weekend we went fruit picking to a farm not far from our house. Daddy Bee found a lovely place through word of mouth and a little research, we discovered Craigies farm after a short drive just past South Queensferery. When we arrived at the farm we headed straight for the cafe as little Bee had just woken up and was shouting for food. The cafe is attached to a farm shop and has a very homely feel. The staff were very informative about our dietary requirements and were easily able to give advice because most things on offer were made from scratch in their own kitchen. After a delicious lunch we went for a gander around the farm shop. The shop is bursting with local produce, there’s everything from fresh fruit/vegetables to alcohol, produced in the surrounding areas and elsewhere in Scotland. After looking around the shop we headed out to gather our bounty! There’s a choice between 1kg punnets or 2kg punnets. We settled with three 1kg punnets and headed on our way. Little Bee went tearing down the path with his punnet in hand ready to get picking. 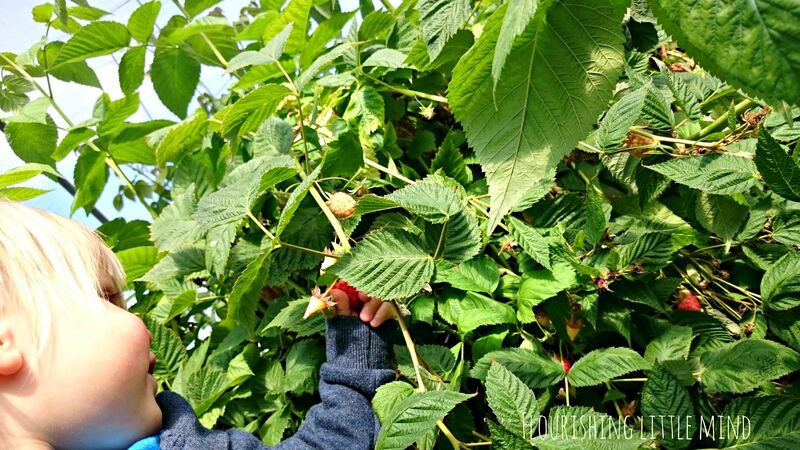 We started off in the huge raspberry tunnels and little Bee was surprisingly gentle picking the fruit from the plants. 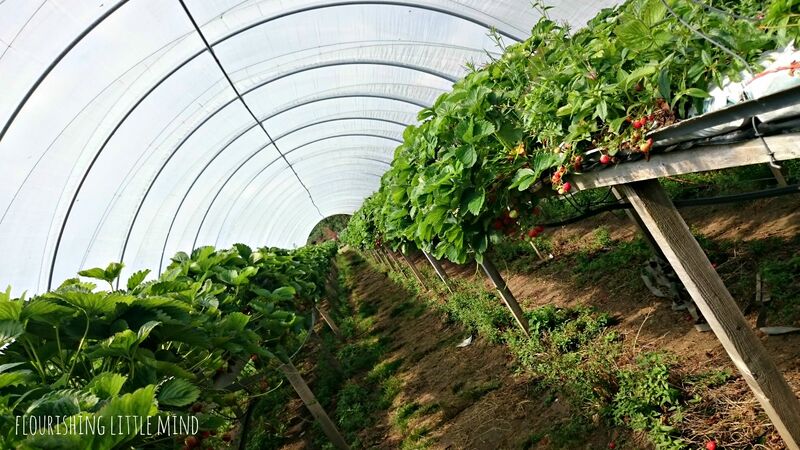 We quickly filled the punnet and moved onto the strawberry tunnels. For some reason little Bee pressed a finger through each strawberry he picked! we soon realised and decided it was best to pick them ourselves, otherwise we would be going home with a box of mush. 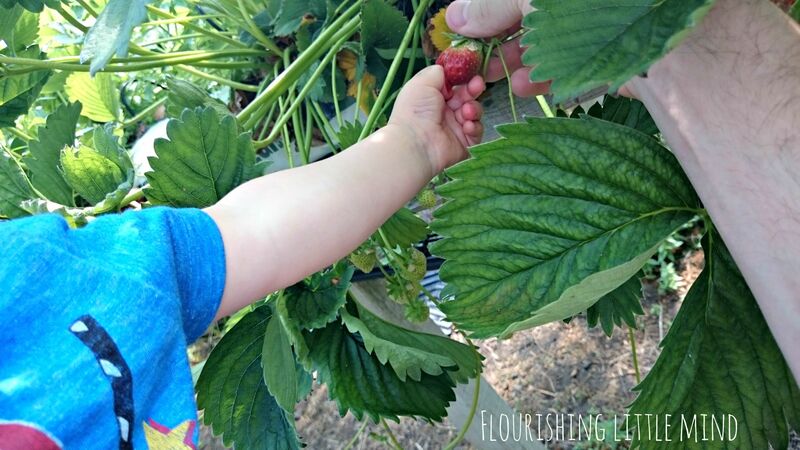 The strawberries are grown off the ground so little Bee had to be carried around so he could see the fruit. 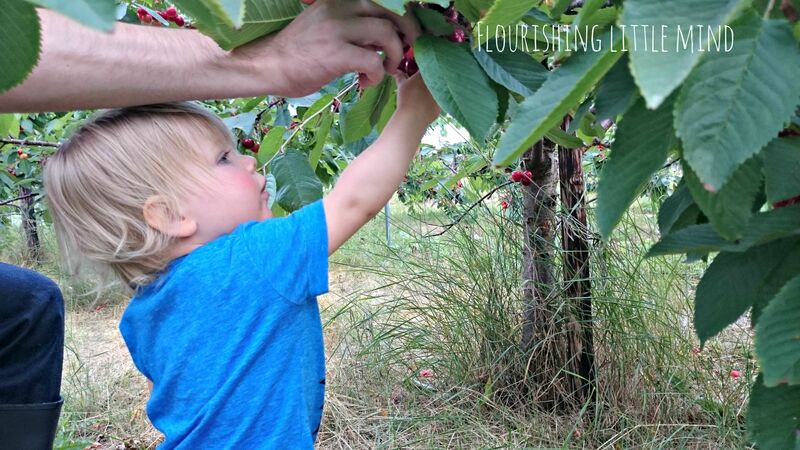 The last fruit we picked were cherries, these were my favourite because they were easy to pick and many of the branches were low down, near the ground and little Bee was able to reach them himself. He was also unable to squish the fruit with his tiny fruit destroying fingers! We had a great day at Craigies farm picking our own fruit and getting some tasty local produce. Little Bee had fun and seemed to enjoy the whole experience. I think this would be great fun for all ages and also an invaluable experience for slightly older children. Its such a good lesson to find out how and where food is grown. Many children have become disconnected from natures offerings and are completely unaware of where food comes from. It’s not the first time a child has been asked where apples come from and they answer ‘Tesco’. I also enjoyed the sense of achievement from picking our own and they somehow tasted extra delicious!